3 minute walk from Exit #A13 of Ginza Station. 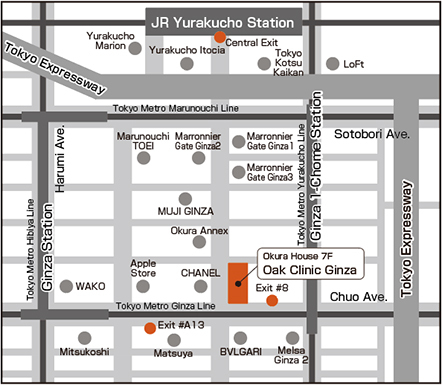 2 minute walk from Exit #8 of Ginza 1-Chome Station. 5 minute walk from Central Exit of Yurakucho Station.